We have created our Oasis of Remembrance as a space where we can remember all of those who are supporters of Newcastle Dog & Cat Shelter. 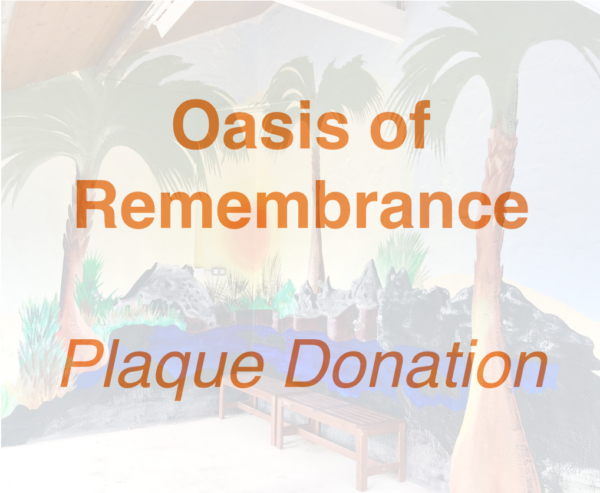 If you have somebody such as a family member, friend or pet who you would like to remember, you can do so by purchasing your plaque for a donation of £20.00. Please leave the names which you would like on your plaque in the “order notes” box when you reach the checkout. Please note there are a maximum number of six names per plaque. You can purchase more than one plaque by adding the amount you’d like to your basket.